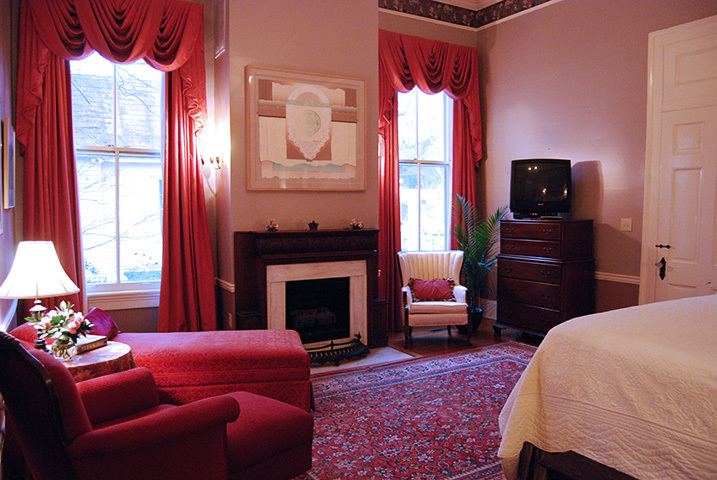 Located on the first floor of the main house. 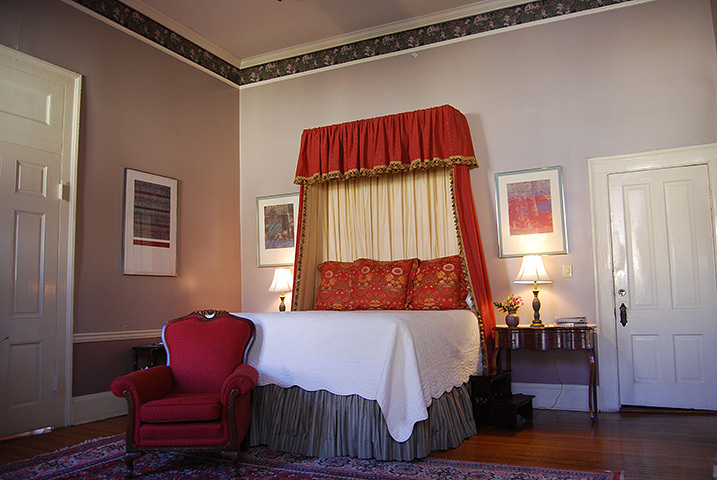 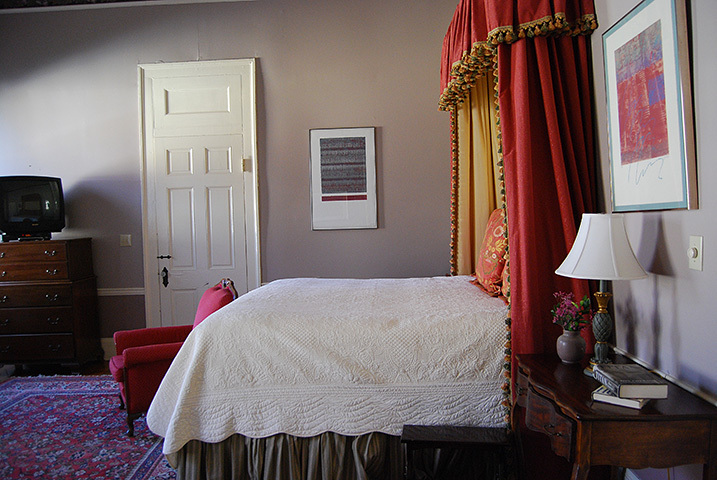 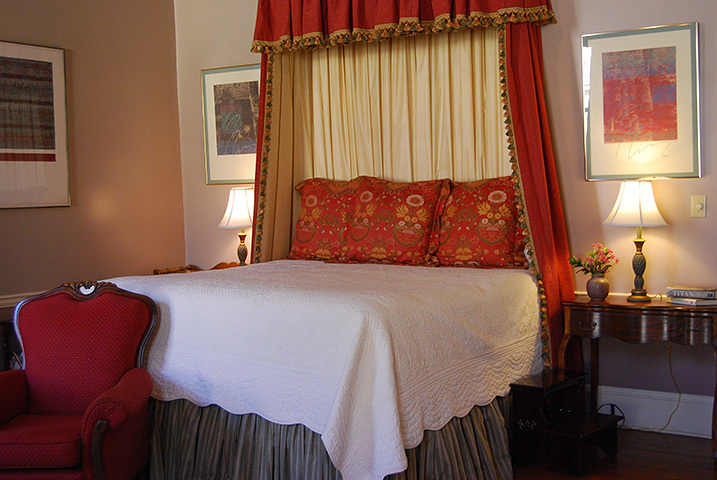 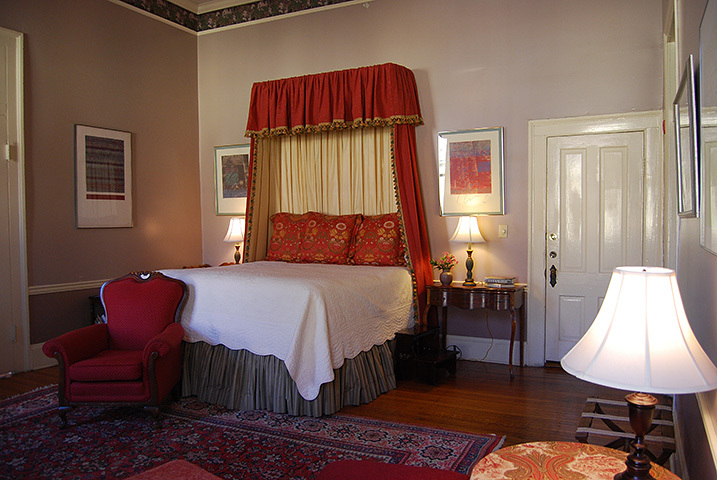 Features a king sized bed, dressed in beautiful magenta bed drapes. 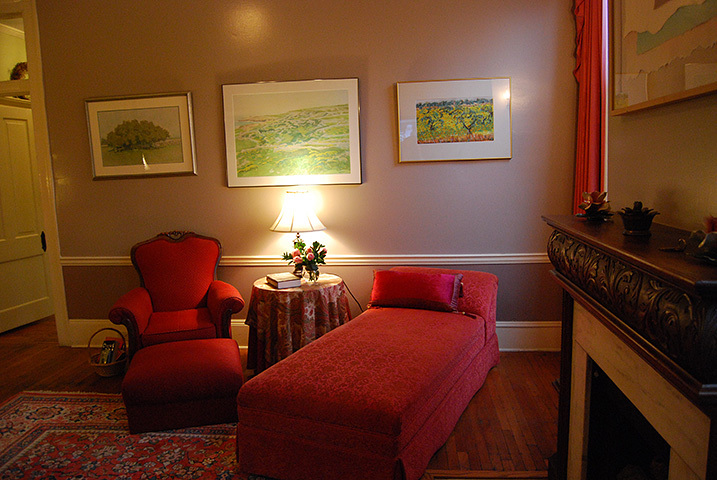 There is a large chaise lounge and a large writing desk with hardwood floors and a working fireplace. 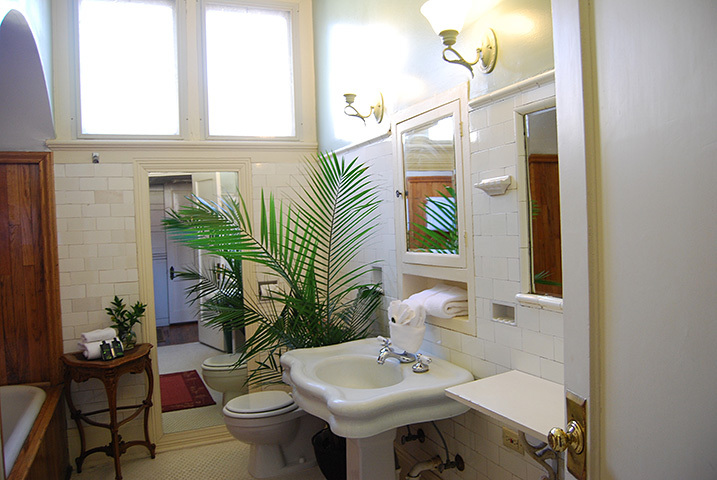 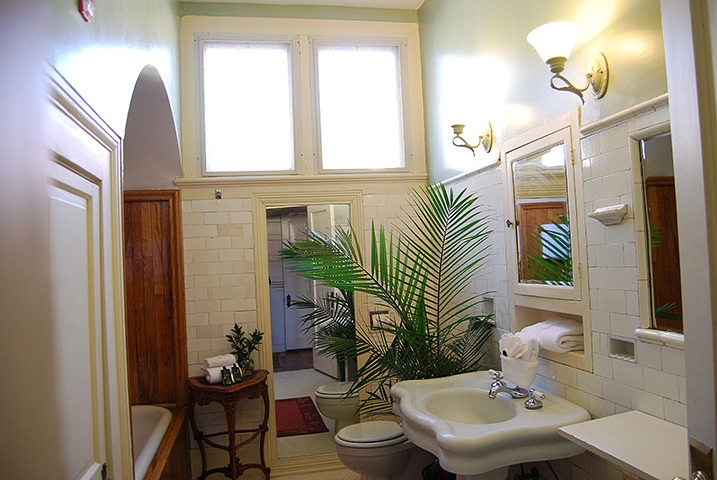 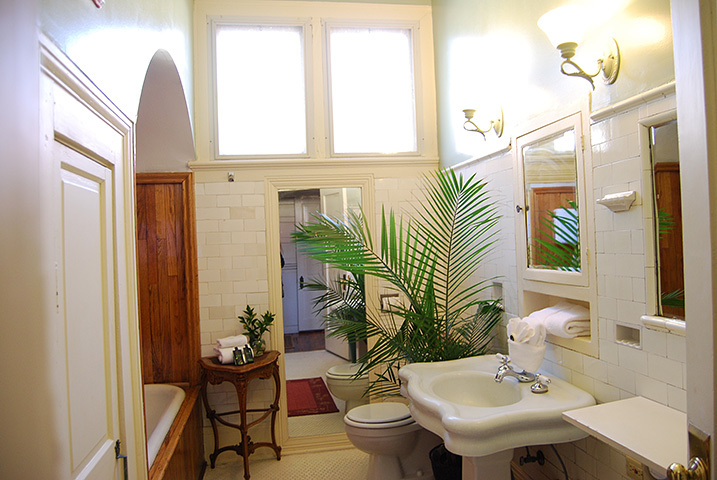 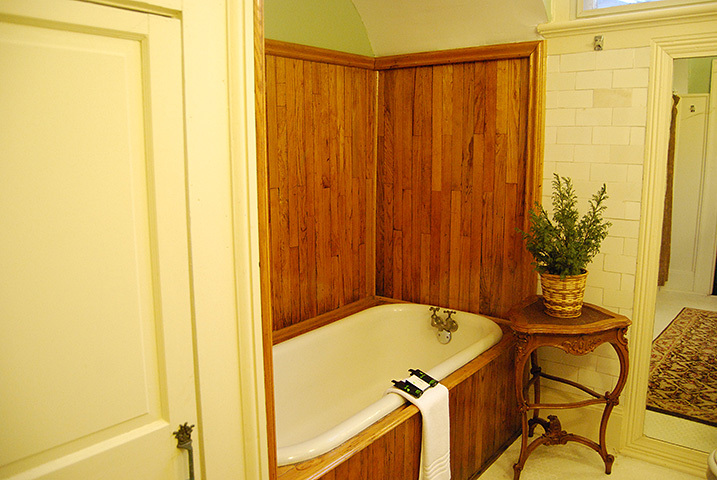 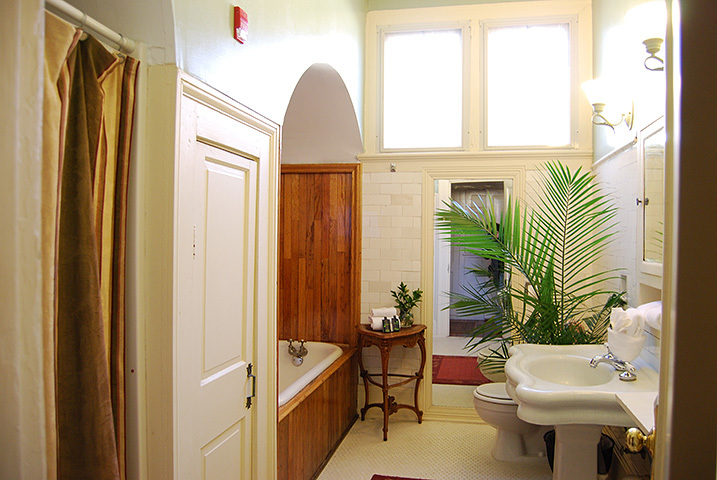 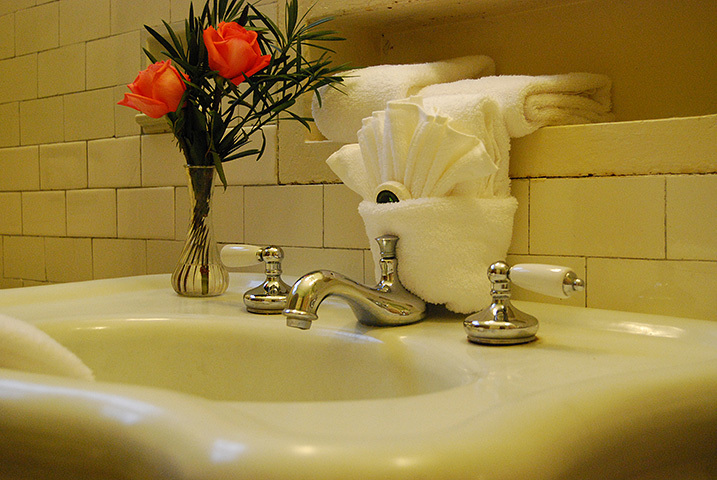 The original private bath features an antique soaking tub, with separate shower, original pedestal sink, cedar-lined closet and dressing area, 14 ft. ceilings with two large windows overlooking the garden courtyard. 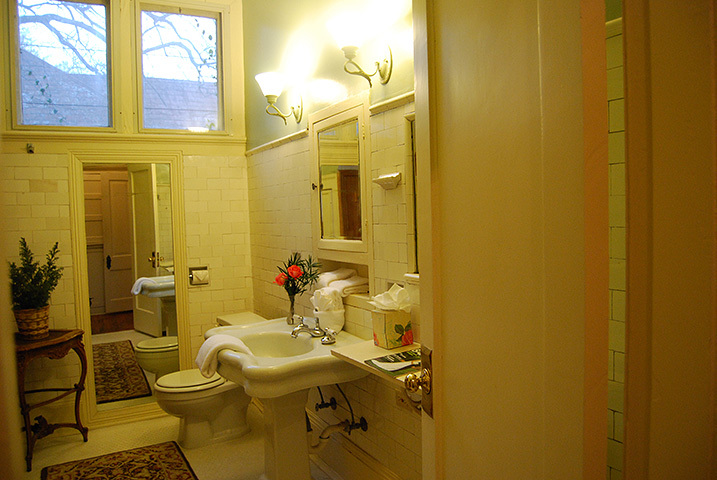 An elegant, but spacious relaxing suite. 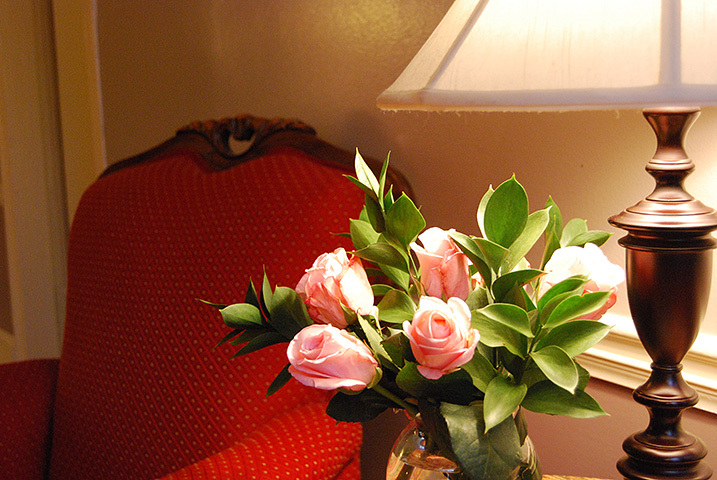 All rooms and suites offer digital cable television, with full movie and music channels and VCR/some DVD, and wireless internet access, mini refrigerators, coffee makers, and some equipped with microwaves, wet bars, and full kitchens.